Have you ever wondered what your life would be like if you had the perfect smile? Do you think it would boost your confidence and make you more determined to accomplish the goals you’ve always wanted to? Maybe provide the opportunity to encourage others to do the same? With a bright, straight, and whiter smile, you may be able to do all that. 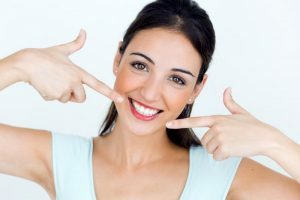 Thanks to these treatments from your cosmetic dentist in Waco, you can invest in yourself and your smile, some of which you can experience in one to two visits! Let this year by the one where you take your smile to the next level. Here are just a few ways how. For those simply looking for a light touch-up to their smile, you’ll find many benefits from Zoom! Teeth Whitening, the most effective teeth whitening treatment on the market to date. With this treatment, you can get teeth up to 8 shades whiter in about an hour. Never has teeth-whitening in Waco been so quick and capable of providing significant results! If you want to whiten your teeth on your own time, you easily do so with custom take-home whitening trays. These trays contain bleaching agents that fit your teeth exactly, ensuring that all chemicals touch your teeth surface only and avoid your gum tissue. Even after just a few days, you’ll be pleasantly surprised by the results these trays can provide. If you’ve recently undergone root canal treatment, teeth-whitening treatments may not influence your discolored teeth. Luckily, porcelain veneers in Waco can solve many different imperfections simultaneously. If you’ve got chips, cracks, broken, or even crooked or gapped teeth, porcelain veneers can cover your teeth in as little as two visits, giving you a brand-new smile. Since the veneers are porcelain, they reflect light very similarly to natural teeth. This helps us avoid the “chiclet” appearance that less superior veneers cause. Once our offsite dental lab finishes fabricating the veneers in a few weeks, the dentist will place them on your teeth in a single procedure. Afterwards, you’ll have a brighter and more uniform appearance in your smile. For those looking for a more substantial, long-term, orthodontic solution to gaps and misaligned teeth, clear aligners from ClearCorrect can provide a solution. Compared to traditional braces, you would pay a fraction of the cost to achieve straight teeth in less time. Patients can expect their treatment to take between 12 and 18 months to complete. That’s much faster than the minimum of two years required by traditional braces. The treatment uses a set of trays based on precise measurements of your teeth. Each set of trays is worn for a predetermined amount of time, then replaced with the next set in the series. Since these are removable, you can brush and eat the way you always have. Since they are clear, your colleagues also won’t notice that you’re undergoing orthodontic treatment. Let 2018 be the year you finally invest in yourself. Schedule a consultation with your cosmetic dentist in Waco today to learn which treatment is best for you! Premier Family Dental understands that patients not only want to have healthy teeth, but teeth they consider attractive as well. That’s why we provide multiple cosmetic treatments designed to improve the overall aesthetic of your smile for years to come. If you want us to help you look as good as you feel, feel free to contact us at (254) 732-0309 or visit our website for more details on cosmetic dentistry.